Need to show the importance of fundamental research? Dazzle your audience. As engineers, we are familiar with both the marvel and the potential of fundamental research. But it is not always so obvious to others. Breakthroughs in science and engineering are announced every day in popular publications and journals. Interest in discovery is high, but the connection between basic research and exciting eventual results is often lost on the general public. Researchers, funding sources, and the academy need to connect the dots. The best way to do that is to use memorable examples to dazzle your audience with wonder. Several recent examples illustrate this technique. Consider the engineer at Lamar University in Texas whose team discovered a magnetic nanomaterial with an extraordinary ability to remove a toxic form of chromium from water (www.nsf.gov/news/newsletter/jul_13/index.jsp). The novel material is highly efficient, extracting chromium in just a few minutes — significantly faster than the hours or even days needed by conventional activated-carbon adsorbents. Furthermore, the nanomaterial can easily be collected with a magnet and recycled. Its utility and societal benefits are clear. Then there’s the MIT team that has developed a way to modify an integrated-circuit manufacturing device into one that can make 3-D heart tissue (First Look, Prism, March/April 2013). The researchers patterned thin polymer sheets with tiny holes and embedded the sheets with muscle and heart cells from rats and mice. Using the manufacturing device, they stacked the sheets to form a 3-D scaffold for growing tissue and precisely aligned the holes to direct the cells to grow into fibers. After testing different patterns of holes, the researchers were able not only to create the desired cellular architecture but also to make the heart tissue beat in response to electrical stimulation. One of my favorite examples involves flying frogs. In 1997, researchers from the Netherlands and the United Kingdom were conducting fundamental research on diamagnetism, an effect exhibited by superconductors. They used a strong magnetic field to levitate a variety of objects, including a live frog. Their work won the 2000 Ig Nobel Prize in physics. The Ig Nobel awards, administered by the Annals of Improbable Research magazine, recognize researchers “for achievements that first make people laugh, then make them think” — in other words, the kind of imaginative research that can stimulate interest in science and engineering. One of the researchers, Andre Geim, went on to discover the superconductor graphene and win the 2010 Nobel Prize in physics. In some cases, the potential impacts of fundamental research are readily apparent. They may be a product or technology that solves problems for a community or a business, such as a new material for water purification. Or they may open new opportunities for individuals or technology sectors, like tissue engineering for health care. But often, it takes a while for the benefits of fundamental research advances to become apparent. Five decades ago, lasers were dubbed “a solution looking for a problem.” Today, they are found in technologies ranging from DVD players to manufacturing to surgical instruments, and annually generate several billions of dollars in revenue in the United States. The most challenging point to convey is that the enduring benefit of all well-conceived and -executed fundamental research, ultimately, is the increase in the total knowledge base, here and worldwide. Discoveries in one area can be translated to other areas for further advancement. They can be built upon, resulting in a stronger and broader foundation for future growth that can benefit people for generations to come. Just as no one could foresee today’s myriad uses for lasers when the technology first emerged from the research lab, no one knows or can speculate where current discoveries eventually will lead. So the next time your neighbors ask why fundamental research is important, wow them with the levitating frog example. They’ll get it. 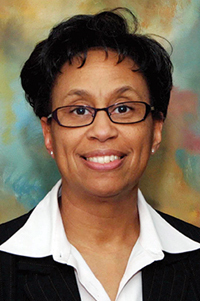 Rosemarie D. Wesson, Ph.D., P.E., is a program director in the National Science Foundation’s Directorate for Engineering and an adjunct professor of chemical engineering at the University of Maryland, College Park.